Simon & Schuster Books for Young Readers, 9780689857225, 32pp. The ducklings are playing hide-and-seek. By the time Mama counts to ten, everyone has found a hiding place...except for Little Quack. Where should he hide? 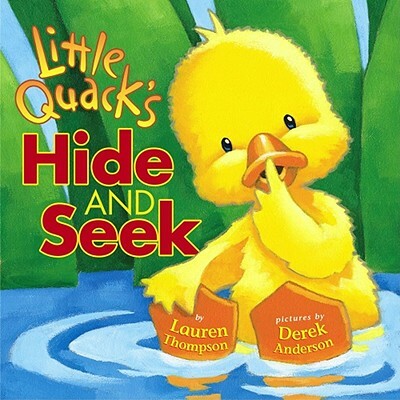 Laugh along with the cutest duck family around as Little Quack's silly hiding place turns out to be the best of all! And use the QUACK-U-LATOR to help Mama count her quacky little ducklings.